Whip up something delicious with these quick and easy recipes. Indulge yourself by pairing luscious berries with your choice of sparkling wine and high-quality dark chocolate. Bite into a fresh, juicy strawberry. While these bright-red berries can be found in the supermarket year-round, springtime yields the sweetest, most flavorful fruit. Here are five simple recipes to get you started, as well as 20 ideas for indulging in these berries all season long. After rinsing the fruit under cool water and patting them dry, try some of these fun ways to savor them. Accompany berries with good-quality dark chocolate or warm chocolate sauce. Layer sliced strawberries in parfait glasses with nonfat vanilla yogurt and granola. Spread lemon curd on pound cake slices; top with sweetened strawberries and whipped cream. Toss sliced strawberries with lemon juice and fresh mint. Serve over vanilla ice cream. Sandwich peanut butter and strawberry and banana slices between two vanilla wafers. Spread cream cheese frosting on ladyfingers; top with sliced strawberries. Toss sliced strawberries with sugar, and serve over pound cake with chocolate syrup. Drizzle cubed pound cake with orange liqueur; layer in glasses with vanilla pudding and sliced strawberries. Top with sweetened whipped cream. Enjoy a peanut butter sandwich filled with sliced strawberries. Stir together 2 cups sour cream and 1⁄2 cup brown sugar; dip strawberries. Drizzle sliced strawberries with balsamic vinegar and sugar; sprinkle with freshly ground black pepper. Drizzle with lime juice, and sprinkle with sugar and salt. Dip in orange liqueur and powdered sugar. Spread orange marmalade on toasted English muffins, and top with sliced strawberries. 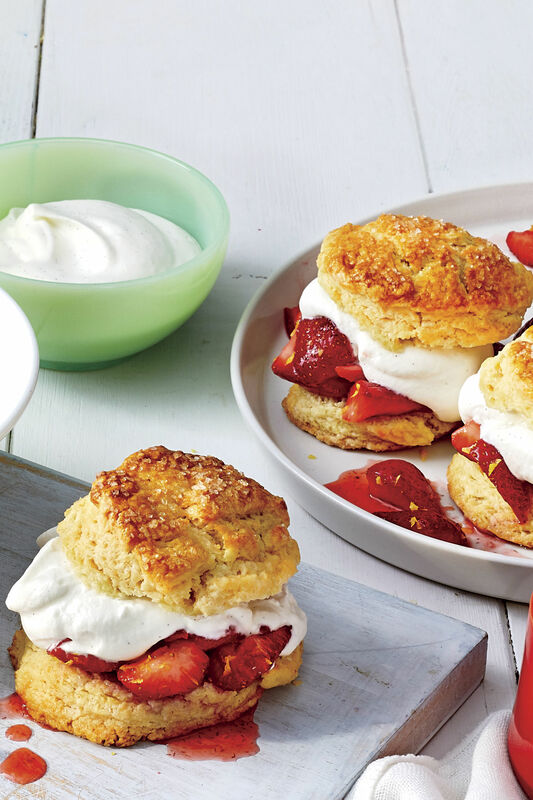 Browse our complete list of strawberry recipes. 25 Ideas for Strawberries" is from the April 2006 issue of Southern Living.